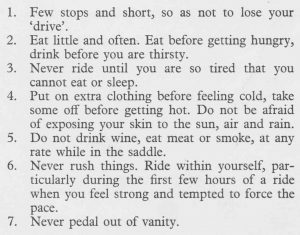 First up is The Guinness Guide to Bicycling by Jock Wadley. I was given a copy of this book as a young teenager and it fuelled my growing interest in cycling. Don’t be put off by the title – this isn’t some sort of formulaic, Haynes manual. Guinness took great care to select a specialist editor for each of its guides, and then gave them free reign to put together the book of their dreams. Their choice for Bicycling was inspired. Wadley was one of the first English reporters to take an interest in continental cycling in the 1930s, when racing in England was still stuck in a backwater of time trials and BARs. He covered 18 Tour de Frances in the 1950s and 60s, but was also famous for touring Europe by bicycle with a type-writer in his pannier, sending home cycling reports to British magazines and newspapers about what he saw. For this book he worked with French author J Durry. 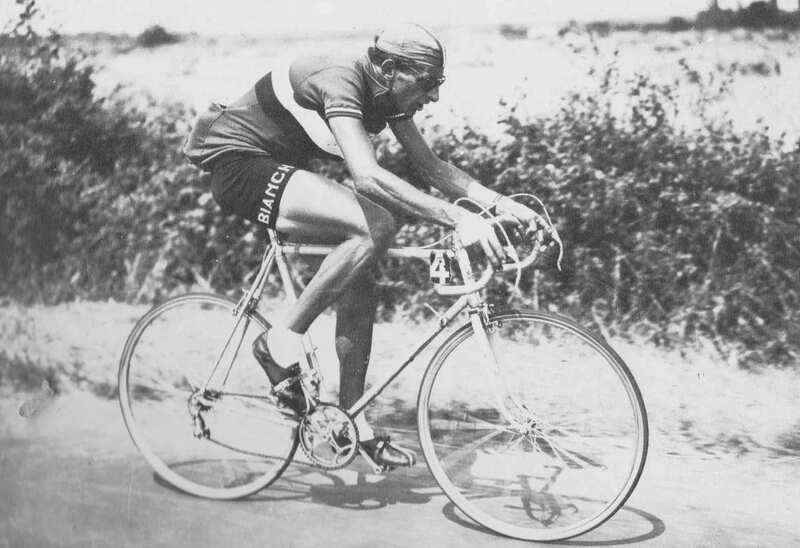 Fausto Coppi (Italy) who, until the advent of Eddy Merckx, was considered to be the greatest of all racing cyclists. 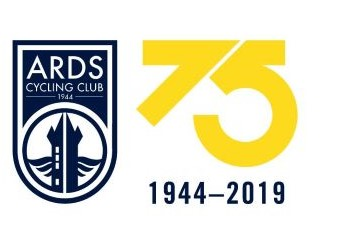 His feats ranged from two world 5000 metres pursuit championships on the track, to five victories in the 21-day Tour of Italy road race; he held the world hour track record for 14 years, and was world professional road race champion in 1953. Coppi’s long list of triumphs include the Tour de France (twice), Milan-San Remo (three times) and the Tour of Lombardy (five times). 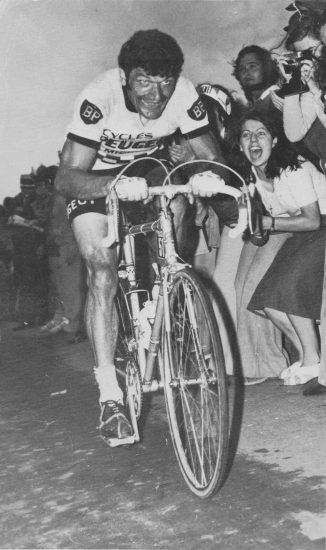 He also won a sensational Paris-Roubaix in 1950. In 1960 at the age of 40 Coppi died from malaria after returning from a hunting expedition in Africa. Wadley was in his 60s when he edited this book, and reading it now makes me feel like a child sitting at the feet of a much loved grandparent as they recall stories from their life. The structure of the book may be rambling at times, but the scope is broad and open minded, and the stories are spell binding. He covers everything, from history to technology (like the detail from a Mercier pro-bike – right), racing and touring. On every page, you’re left wanting to find out more about a character or event. The “Angel of the Mountain”, Charly Gaul of Luxembourg, rides through a snow-flanked corridor high up in the Dolomite mountains. 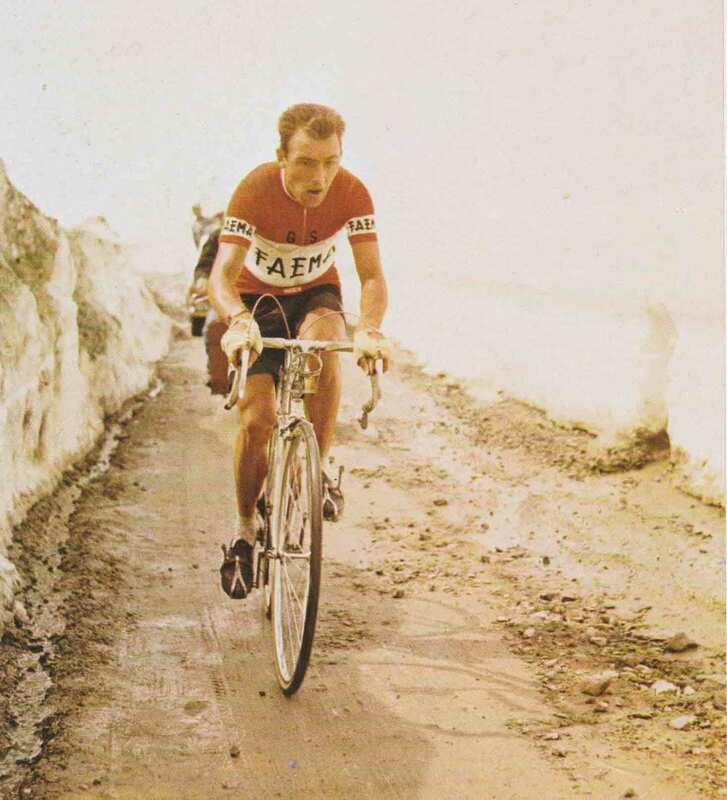 He was a stage-race specialist who twice won the Giro d’Italia (1956 and 1959), and the 1958 Tour de France, through brilliant mountain climbing. Gaul sat very still on his bicycle, rarely moved out of the saddle, and rapidly twirled gears several inches lower than those of this rivals. The first thing that strikes you is the quality of the photographs. Wadley adds captions that give you a glimpse of the rider or scene depicted, and inspires you to find out more. I’ve copied a sample into this review – regular readers may recognise some of the characters from previous reviews. 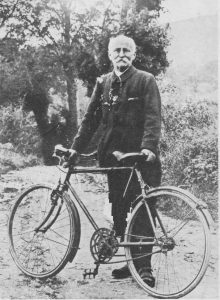 The “Apostle” of cycle touring, Paul de Vivie, alias “Velocio”. Living in a mountainous area he was a pioneer of variable gearing based on the “derailing” of the chain – or in this case chains. 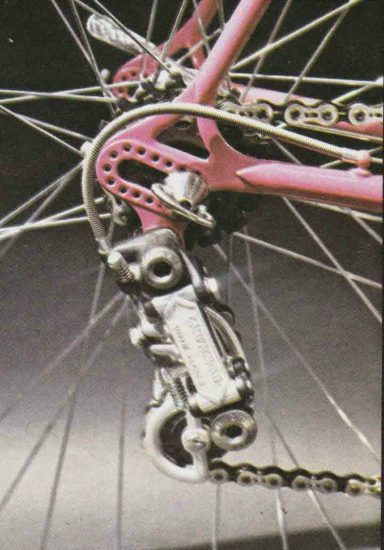 Another of Velocio’s favourites was the “Retro” on which he pedalled forward for top gear and backwards for bottom! Above – the Seven Commandments of Velocio. Great verbal sparring from the 1920s! And between “aristocrats of cycling” – who would have guessed that cycling had aristocrats !? A lone tourist with well-filled saddlebag, riding on the left of the road – where else but in Great Britain? 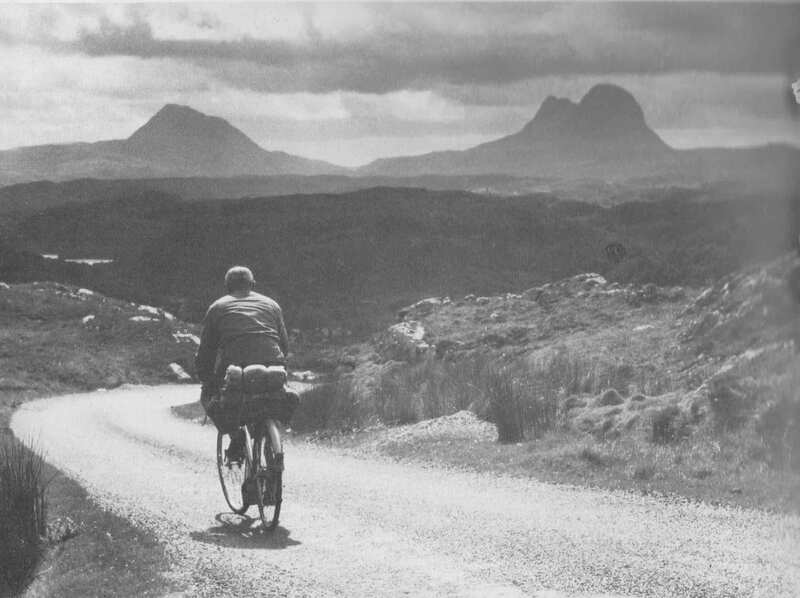 Unlike professionals in competitive tours who speed down mountain tracks, this real amateur is in no hurry on the Lochinver Road in the north-west of Scotland, with the twin peaks of Suilven and Caspin dominating the peaceful scene. The greatest free sporting show on earth. The crowd roars its encouragement to Bernard Thevenet during the 1975 Tour de France. He is wearing his white-and-black ‘colours’, but tomorrow he will be in the coveted yellow jersey of leadership. The great Eddy Merckx, five times winner of the Tour de France, has been beaten at last! Finally there is “The Realm of the Dropped Handlebars”. This chapter opens with a description of a mountain stage in a grand tour. The champion’s team drives the bunch, already down to just 60 riders. Then 40, 20, 17… The champion takes over. Down to 8 – the strong men in the race. And then a young challenger attacks! The group is hidden in some trees….. The tension mounts. It turns out that Wadley is actually describing a scene from the film La Course en Tete, about Eddy Merckx . I had to see this film! Fast forward six years. I’d joined the cycling club at university and two things happened. First I got a chance to ride the Jock Wadley Memorial Trophy, and to find out more about the great man. And second, I met up with another undergraduate – a certain William Fortheringham. I persuaded the club to buy La Course en Tete, and we organised a film show. I like to think this inspired William’s interest in the iconic cycling films of the 1970s – La Course en Tete, Stars and Water Carriers, and perhaps the most famous of all – A Sunday in Hell. 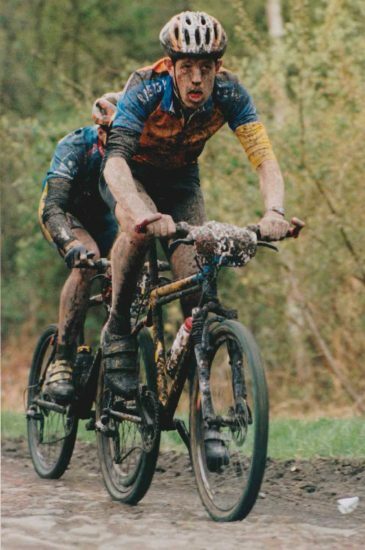 This brings us to our second book – William’s A Sunday in Hell, about the 1976 Paris Roubaix. It’s effectively a biography of the film. In contrast to Wadley’s broad brush and personal overview, this book is a thoroughly researched, deep dive into a very specific piece of cycling history. The detail – on the making of the film, the riders, the race itself – is all fascinating. The film’s director, Dane Jorgen Leth, is definitely at the arty end of the documentary spectrum, but his fascination with mythology suits a race like Paris Roubaix. One of things that struck me was how much cycling (and sport in general) has changed in the 40 years since the film was made. As always, if there is anything else you’d like to see reviewed, let us know.